CHANCE has changed the lives of the many clients that have attended our classes, workshops and seminars. But we've also impacted countless others through our books, social media offerings, and blog articles. CHANCE educational materials are informative, practical, inspirational and recognized for the professional achievements they are. Breaking Free, Starting Over is in libraries throughout the world and has been translated into more than 20 languages and was awarded the coveted Library Star by ILA. Sparrows in a Hurricane earned a Colorado Independent Publisher's Association (CIPA) EVVY award in the inspirational category in 2014, beating out a field of tough competition that were themselves winners of several prestigious awards. 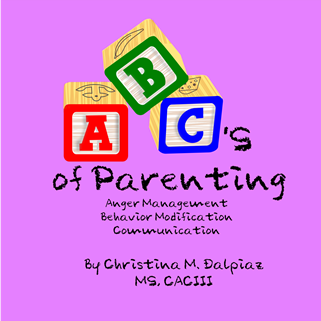 The below CHANCE Publishing books by Christina Dalpiaz range in topics from developing healthy relationships to how to handle many of the most difficult parenting challenges. Christina's books are entertaining, insightful, and will provide the reader an abundance of unexpected - and highly effective - approaches to address issues faced by families everywhere. What is often labeled domestic violence is, in this book, referred to as family violence, because the emotional terrorism that infuses violence between adults affects not only the adult victims but also the children who witness the abuse. Dalpiaz shows how a caring and thoughtful parent can recognize the trauma family violence inflicts upon children, and how to help them recover and go on to live happy, violence-free childhoods. Safeguarding children, building trust and breaking the cycle of violence is the goal. Once the victim of family violence, Dalpiaz later earned degrees in psychology and early childhood education, eventually launching a nonprofit organization dedicated to helping children. 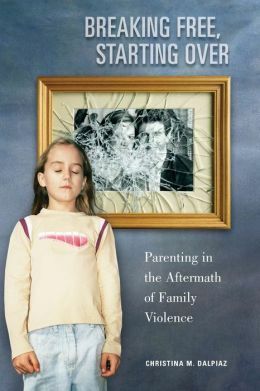 Her book will interest not only parents who are victims of family violence, but also foster parents dealing with the aftermath of family violence, counselors, teachers, social workers, clergy, and students of the behavioral sciences. You know parenting can be hard work...just imagine how tough it is on your kid! Wouldn't it be nice to have the skills to parent your child the way elite parents do it? You know, the ones that always have their act together and are in control of nearly every situation? Your kids are trying to grow up and learn how to interact with the world and, as many of us know, that can cause growing pains...for both the child and the parents. If any of this rings true with you, then you've come to the right place! Parent-in' Style will provide you the replacements skills necessary to change your parenting style to one that has you Parent(ing)-in' Style in no time! Filled with concrete examples of how to deal with many of the most common, yet frustrating aspects of parenting, Parent-in' Style will be the one parenting resource you'll wonder how you ever got along without! So break out your finest and get ready to Parent-in' Style! Sparrows in a Hurricane: One Family's Courage to Weather the Storm of Addiction and Mental Illness is a compelling and insightful memoir that demonstrates how children growing up with addicted and mentally ill parents can overcome obstacles and live productive and functional lives as adults. This story involves six Appalachian children who band together to survive and support one another through their parents' addiction and mental illness. The book illustrates how some of them escape the legacy of these diseases while others succumb to its grip. HAVE you or someone you love found themselves going from one disastrous relationship to another? Does your attraction to bad boys leave you perplexed? Do wonder if authentic love is in the cards for you? How to Depolarize Your Jerk Magnet answers these and other challenges people just like you face in the world of love. Using healthy doses of humor, therapeutic advice and more than a splash of common sense, this book addresses a serious problem-the innate attraction to unkind, thoughtless and selfish people. You'll learn what being a jerk magnet means to your life and how to break behavior patterns drawing you toward unhealthy and destructive men. While there may be someone for everyone-when a jerk finds someone, your job is to make sure it's not you! WHETHER it's a crummy first date or a failing marriage, bad relationships don't just happen and they aren't a matter of chance, luck or accident. Relationships with jerks affect children and the book teaches healthy relationship habits so they learn how to find and love good partners. Additionally, gents also get jerked around, so each chapter provides insight and assistance because nice men deserve happiness too! ABCs of Parenting contains over three hours of instruction to teach adults how to: look beyond the anger and recognize what children are really feeling; manage anger more effectively by finding other methods of control; redirect inappropriate children's conduct through behavior modification and positive reinforcement; use innovative communication techniques to identify with individual children's needs and generate more positive outcomes; use time management strategies to improve quality time with their children; and identify different parenting styles to meet the needs of each family. This title is currently unavailable. If you'd like to be notified when it becomes available again, please click on the "Availability" button to send us an email. We'll notify you when the title can be ordered. This title is currently unavailable. If you'd like to be notified when it becomes available again, please send us an email at christinad@chanceinc.org.and we'll notify you when the title can be ordered. © 2015 by CHANCE, Inc. CHANCE is dedicated to helping families. We provide services to help our clients become better parents, prevent or end family violence, learn how to find healthy relationships, and end unhealthy addictive behaviors. With more than 30 years of experience using effective cognitive behavioral therapy (CBT) techniques and proven replacement skills, we are helping people live our motto: ""Healthy Habits, Happy Homes"